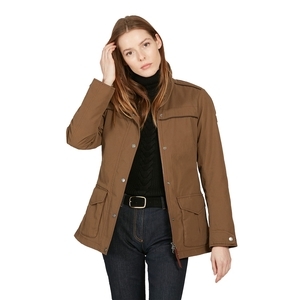 Aigle Parcours Lady Parka Jacket. 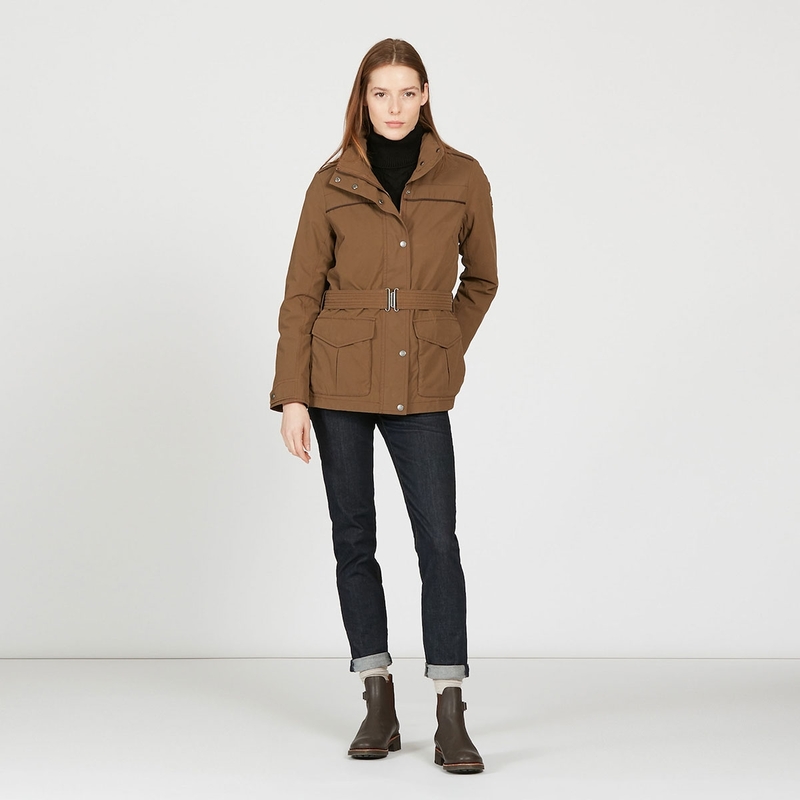 This classic, versatile parka is a must-have for your post-hunting wardrobe. The waxed material and fitted cut give it a decidedly feminine touch. It boasts lots of features that make it really practical. 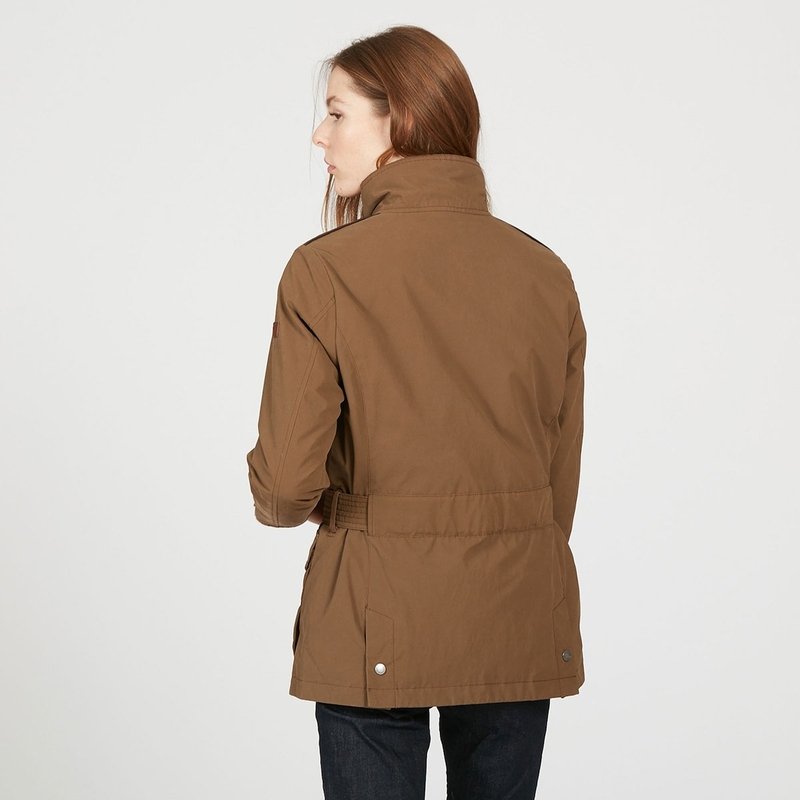 4 outer pockets, including 2 warm lined hand pockets - 1 double entry game zip pocket at back - 1 inner pocket - Front two-way metal zip fastening. Metal buckle belt - Leather piping - Metal details - Leather Aigle puller and badge.